PLAINVILLE - Unbe-knownst to each other, two groups dedicated their Sunday morning to the same cause. 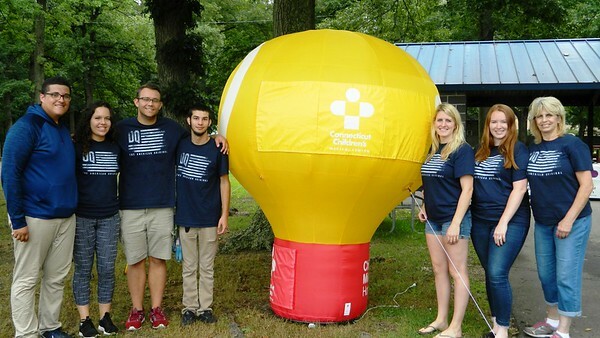 A dozen people gathered in Norton Park bright and early to raise money for the Connecticut Children’s Medical Center. Workers at the Plainville Dairy Queen, they enlisted local families to walk for the cause. Prizes were raffled to participants. 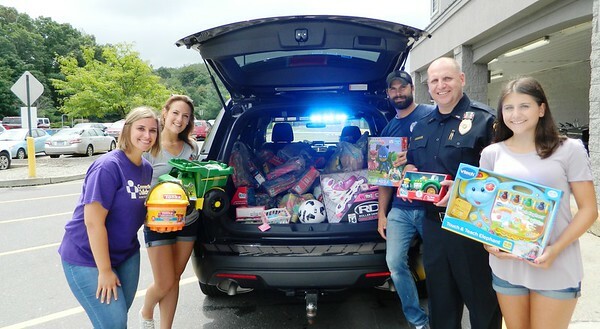 Meanwhile, Bristol police joined forces with two CCMC employees at Walmart to collect toys for patients at the hospital. The small group stuffed Lt. Rich Guerrera’s cruiser full of donations from shoppers for children receiving treatment at CCMC. DQ Manager Lauren Heslin planned the Miracle Walk. The company is a national supporter of the Children’s Miracle Network hospitals, and her store is the nation’s fifth-leading location for fundraising. It has donated over $300,000 to the hospital over the last 20 years. This is more than any other store in Connecticut, despite being one of the company’s seasonal locations, open only from March through October. Walkers made donations before setting off on their walks through the park, which were neither timed nor measured. “We’re asking people to do at least the mile loop ,but if they want to walk more, they can,” Heslin said. The fundraiser wasn’t as well attended as hoped, but it’s not going shop’s only one this year. Miracle Treat Day was held recently, and mother and daughter delivered DQ treats to children at CCMC this summer. Employees are welcoming ideas and collaboration from local residents and fellow businesses on future fundraising events for CCMC. 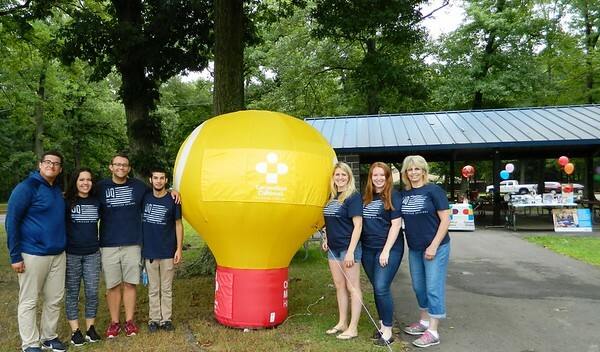 Bristol Stuff-a-Cruiser organizers Julie Girouard and Andrea Briatico were excited to learn that Plainville DQ’s Miracle Walk was happening at the same time as their event. Both work in the hospital’s gastroenterology department and are from Bristol. Girouard’s boyfriend, Brian Bonati, is a Bristol patrol officer, which gave her the inspiration to get the department involved. “She took the initiative and contacted the chief herself,” Bonati said. The group parked in front of Walmart for several hours, thanking shoppers who donated for their generosity. Nearly an hour into their visit, they had almost filled the cruiser already. Maurice and Lisa Hewling handed over several bags of toys to the volunteers. The couple, who lives in Bristol, has a personal connection to CCMC. Five-year-old Alani suffers from a metabolic disease that makes it easy to develop infections and difficult to recover from them. Like other patients at CCMC, she has benefited from the hospital’s innovative and minimally invasive surgical procedures, recognized globally in the world of pediatric medicine. As the department’s community relations officer, Guerrera felt it was his responsibility to take part. Posted in New Britain Herald, Plainville on Sunday, 12 August 2018 21:22. Updated: Sunday, 12 August 2018 21:25.